Elle Navarro, Hybrid Hunnyz Model (www.hybridhunnyz.com) and newest addition to our Hunnyz lineup. You've seen her at the shows, clubs and various websites. Now, here is an exclusive sneak peak at what is to come on www.hybridhunnyz.com. Not only will the hunnyz be beautiful, but we are bring sexyback w/ expensive toys and backdrops. Some of you have already joined, but what are the rest of you waiting for..... Elle Navarro is waiting for you inside www.HybridHunnyz.com. Sign up before the one time special offer expries 02/28. Elle Navarro has confirmed with me to be at HIN, San Mateo, 3/10 @ the HybridHunnyz.com booth. This will be your chance to see her, hang out and get a picture with her. Elle Navarro has confirmed with me to be at NS, Pomona, 3/24 @ the HybridHunnyz.com booth. This will be your chance to see her, hang out and get a picture with her. If you cannot be there, but would like to see more intimate photos of Elle, please support and join on www.hybridhunnyz.com. Not only is our award winning Scion xD on the Cover of March Super Street Magazine. 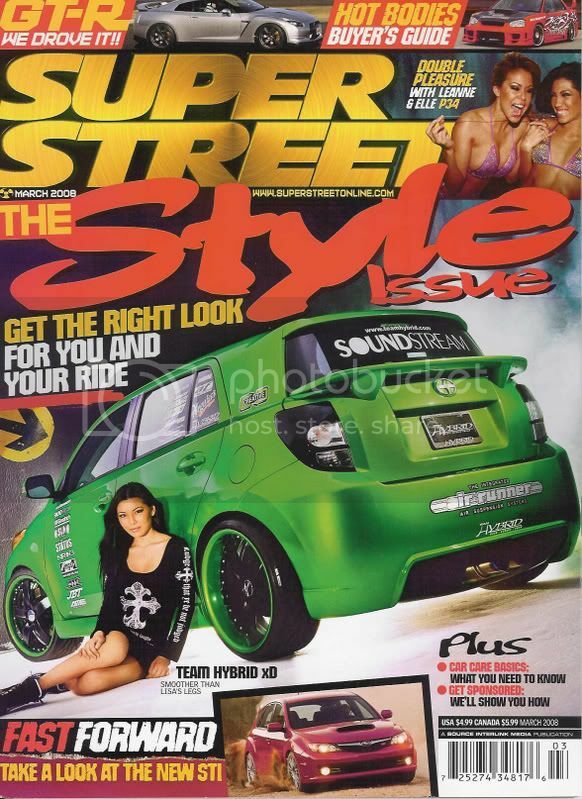 Let's congratulate our very own Hybrid Hunnyz, Elle Navarro for making COVER for Super Street March 2008. Not only can we build cars and a legendary team, we sure know how to pick and launch modeling careers of many of the big names in the import industry today. Not only was Elle Navarro picked to be on the Cover, she was paired to do a girlfriend shoot w/ our very own www.HybridHunnyz.com, Leanne Bell. Hybridzzz and Hunnyzzz are everywhere. For those going to V20 next week, you guys will be able to see her go go in the HHz.com outfit then I'll have her make an appearance @ Team Hybrid's VIP Bamboo Lounge so all of you will have the chance to speak and take pictures with her.